In case of non-appearance the former president may be tried in absentia. Prosecutor General's Office summons the former president of Ukraine Viktor Yanukovych for questioning on 5 and 9 December. The summons note was sent to all know addresses of Yanukovych in Ukraine and Russia. "Prosecutor General's Office asked the former president to appear on 5 and 9 December at 10:00 to the chief of the investigation department of the Main Military Prosecutor's Office of the PGO in in Kyiv," the report says. Yanukovych is being summoned as a suspect. 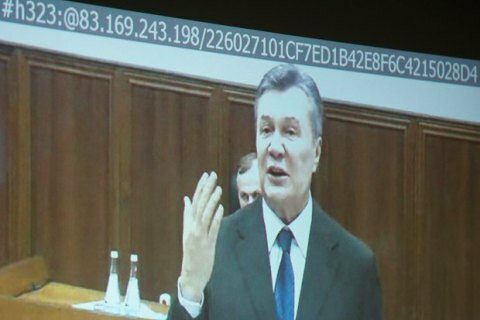 On 28 November, Kyiv's Svyatoshyn District Court questioned Yanukovych via Skype conference from Russia as a witness in the murder of 48 Euromaidan activists on 20 February, 2014 in Kyiv. During a break of the session, Prosecutor-General Yuriy Lutsenko announced to Yanukovych a suspicion of high treason.